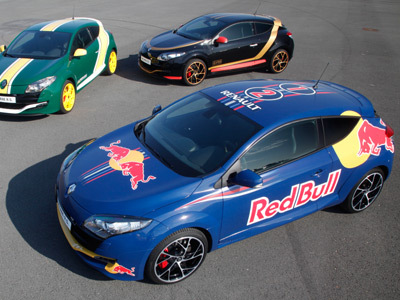 With days to go before this year’s Formula 1 season kicks off, Renault Sport Technologies has unveiled four show cars decked out in the livery of the four teams that will be powered by Renault engines in 2012, namely Red Bull Racing, Lotus F1 Team, Caterham F1 Team and Williams F1 Team. 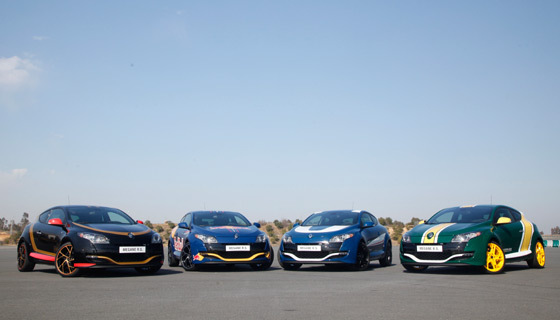 These four Mégane R.S.-based vehicles will be on display and used at events and sports demonstrations attended by Renault over the year. 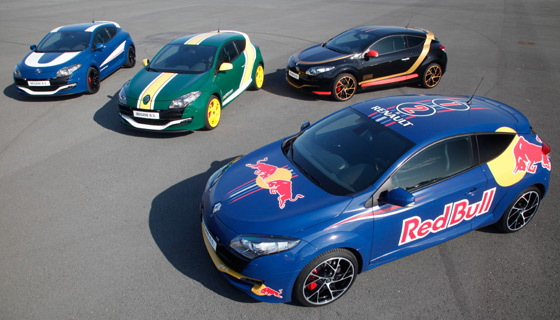 They highlight Renault’s 35-year commitment to Formula 1.